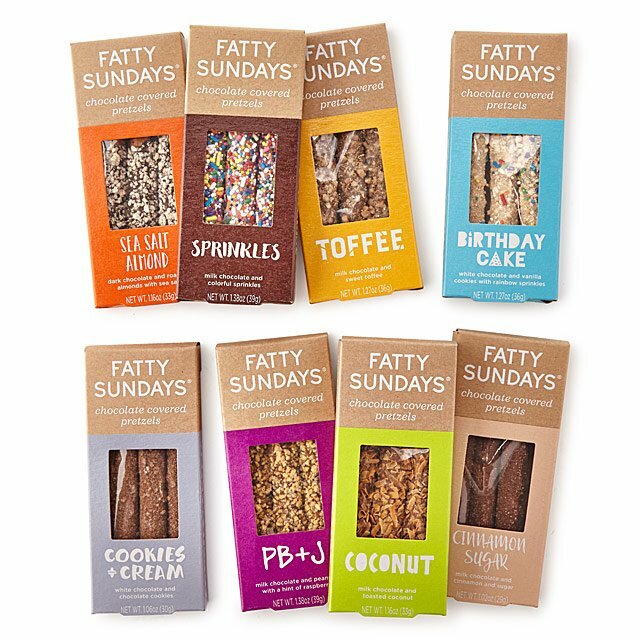 Our favorite gift ideas for the chocolate fanatics in your life. Some might say the old “box of chocolates” is overdone, but we’d have to disagree. The true joy is the selection, taste testing, and ultimately finding that perfectly sweet and salty balance in the ideal truffle. Whether you’re looking for a selection of rare cacao flavors (like from See's Candy) or a perfectly melting milk chocolate fondue set (by Max Brenner), there is a perfect gift here for everyone. Even the most discerning chocolate lover can’t say no to a bouquet of Reese's. We’ve rounded up the best gift baskets, assorted chocolates, and tasting samples all dressed to impress for any occasion. 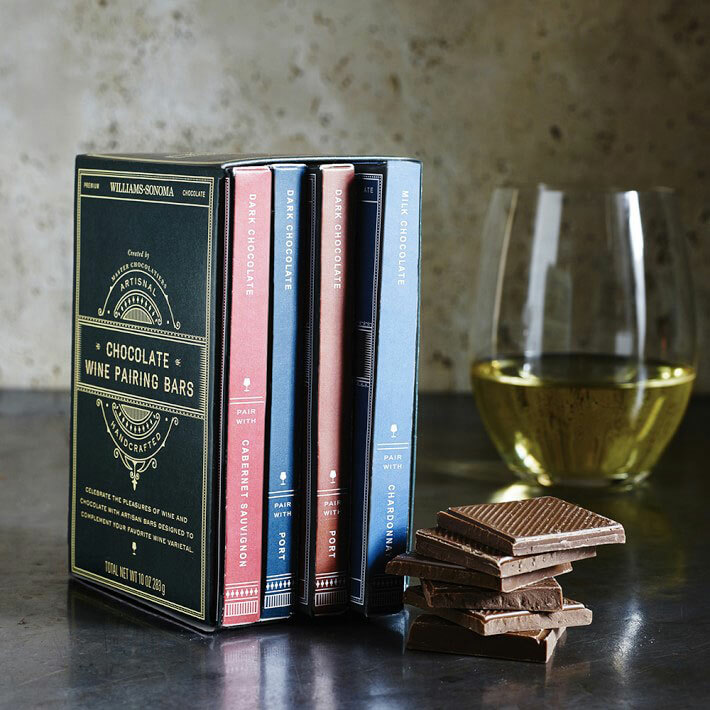 Read on for some of the best chocolate gifts. These artisan bars pair perfectly with specific varietals of wine and top-shelf whiskey. Savor and sip to your heart's content. Get or give this hot cocoa gift box, complete with a mug, dark chocolate, ginger cardamom, and cocoa dulce hot chocolate flavors with special snowflake marshmallow toppers. Go with a chocolate fix pack full of bars, sables, brownies and a chocolate toaster tart. Keep it simple with raspberry chocolate hazelnuts, chocolate covered coconut shortbread or a PB&J chocolate bar. 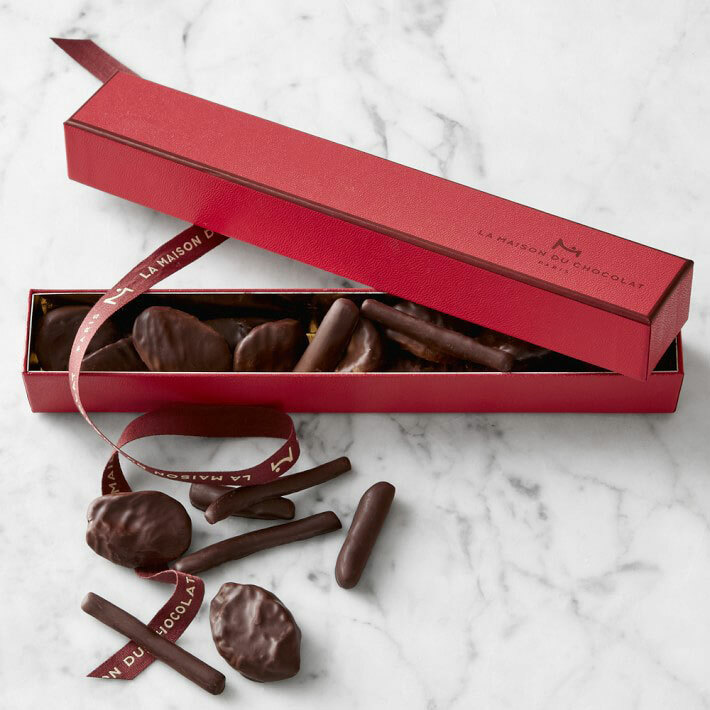 Go beyond the chocolate-covered strawberry with Maison du Chocolat. Dried apricots, candied orange peel and ginger, and dried plums make these treats extra special. Top them off with something even sweeter: assorted chocolate pralines. Sugarfina has all kinds of flavor infused candies, and chocolate is no exception. Try the classic Dark Chocolate Sea Salt Caramels or Caramel Popcorn. The “s’mores” candies can be microwaved for a gooey marshmallow and melted chocolate experience. Get the Champagne bears (made with Dom Perignon and covered in Parisian dark chocolate) or a dark chocolate bar made with stout beer and salty pretzels. Overwhelmed and can’t decide? Design your own candy bento box and pick 3, 4, 8, even up to 20 different treats in one gift box. 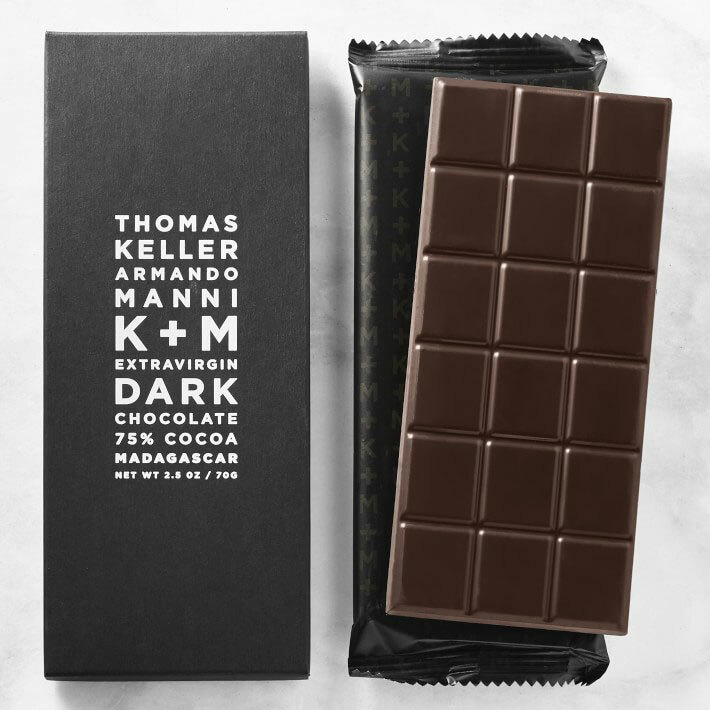 The French Laundry’s Thomas Keller and Tuscany’s Armando Manni collaborated to craft some of the highest quality chocolate on the market. Made with the finest cocoa beans and extra-virgin olive oil, this silky smooth treat comes in three versions: dark, milk, and a combination package. Who wouldn’t love a mini fondue tower? This compact version comes with milk, white and dark chocolate bars that melt easily over the two tiered hot water and candle set. 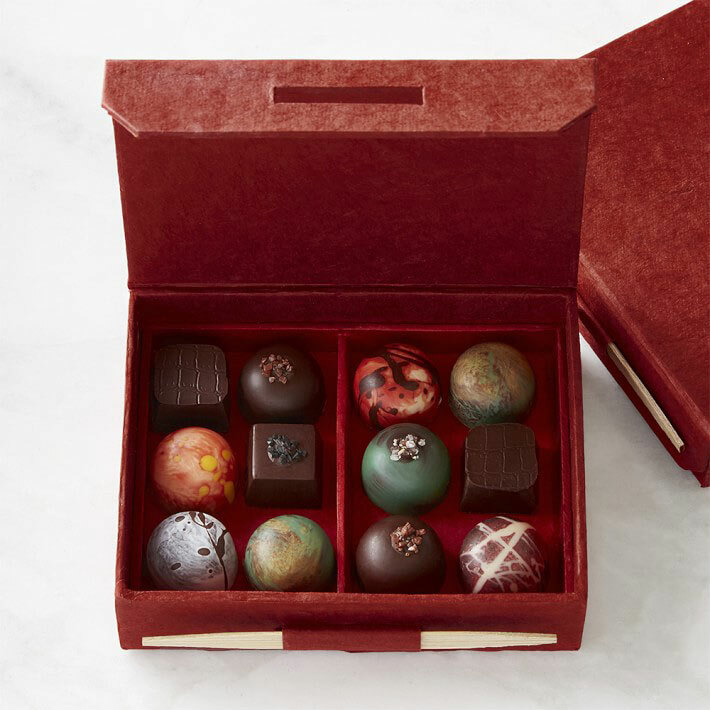 These hand-painted truffles are all one-of-a-kind, and taste even better. Share (or hoard) these stunning creations all dressed to impress. Nothing is better than the pairing of salty and sweet in a snack, and these pretzels amp up the variety with flavors like Birthday Cake, Coconut and PB&J. Salty sweets not your style? Try something new with coffee and tea chocolate bars, or get hands on with a make your own truffles kit. The perfect gift for a night in by the fire or a night out at a camp site, these s'mores kits come in classic, peppermint and dulce de leche versions. Too warm for s'mores? Dress up your ice cream sundae instead with Parisian chocolate pearls. Try the classic assortment box, or go with all milk or all dark chocolate. They have dedicated boxes for soft centers, nuts & chews, as well as just truffles. You can also build a box filled with all your favorites (or whichever you're most interested to try). Get these traditional, chocolate-y New York treats shipped to you. Go with the original flaky chocolate babka (also available in a gluten-free version) or snag a box of the soft and sweet black and white cookies. 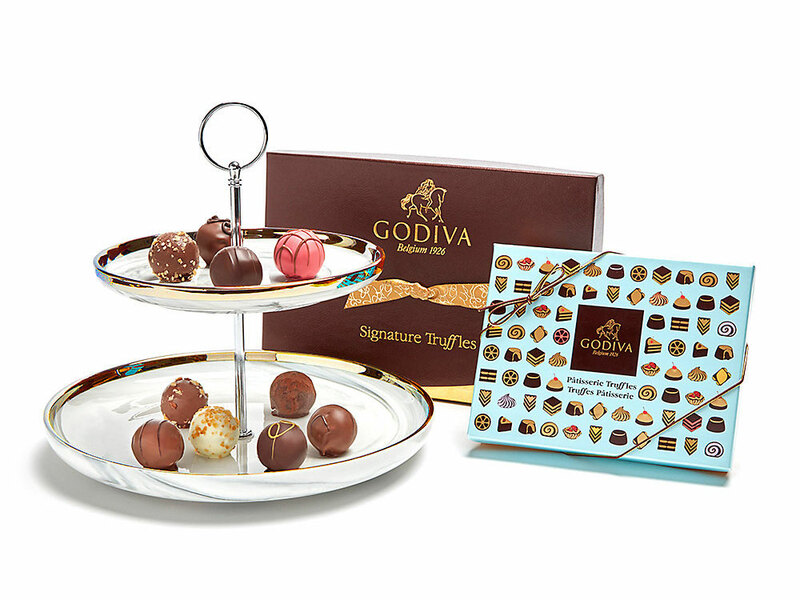 Try Godiva's patisserie-themed truffles with flavors like tiramisu and chocolate lava cake (complete with a pedestal for display), or get the tried-and-true hot chocolate selection for the richest hot cocoa.